Bellwether Enterprise’s motto is “Capital on a Mission.” That is, the firm seeks to make an impact beyond the bottom line, for the good of both its clients and the communities it serves. 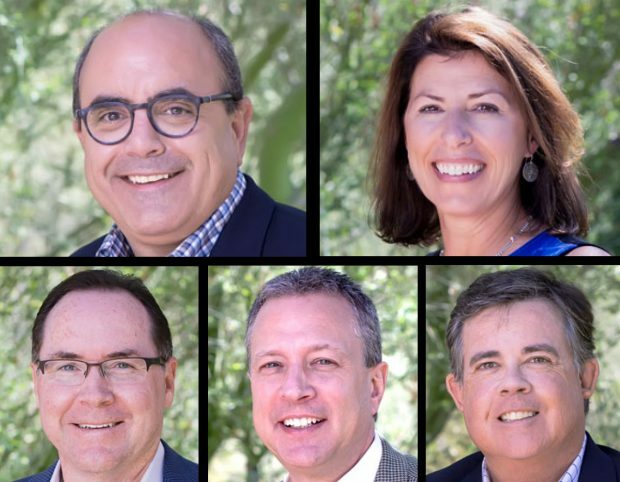 Among the principals that comprise Bellwether Enterprise’s management team are (clockwise, from left) Ned Huffman, President; Debbie Rogan, Executive Vice President; Marty Clancy, EVP and National Servicing Manager; Todd A. Harrop , EVP and National Director, Capital Markets; and Phil Melton, EVP and National Director, Affordable Housing and FHA Lending. Bellwether Enterprise’s motto is “Capital on a Mission.” That is, the firm seeks to make an impact beyond the bottom line, for the good of both its clients and the communities it serves. That’s apropos given its parent company, Enterprise Community Partners Inc., a nonprofit corporation that creates and advocates for quality affordable housing. The largest privately held, employee-owned mortgage banker in the country, Bellwether Enterprise directs a large portion of its profits to supporting its parent company. The full-service commercial and multifamily finance firm has tripled in growth in the past five years. In 2017 alone, it closed 689 transactions, totaling over $6 billion in loan volume. It’s on a similar track for 2018, having closed $3.3 billion year-to-date. Its growth and vision have been spearheaded by a team of principals who lead some 300 employees 29 production offices across the country.